The Knitting Factory made it across The East River. Looks like the Knitting Factory's new Williamsburg location is set to open. The club had the the (sometimes begrudging) respect of the old guard in NYC music, if only because it held on so long as its brethren fell. So when the Kitting Factory shut down last year, no CBGB-size tears were shed, but there was one less solid music venue in New York. Few had relished tramping to lower Manhattan onto that sad block of Leonard St. to get to the club. As the doors shut on the final show, word was that it was guaranteed the venue would soon reopen across the East River in Williamsburg in the former Luna space. Then it didn't. Williamsburg could have been forgiven thinking that Knitting Factory founder Michael Dorf was so distracted running his snazzy new City Winery that he forgot all about them. 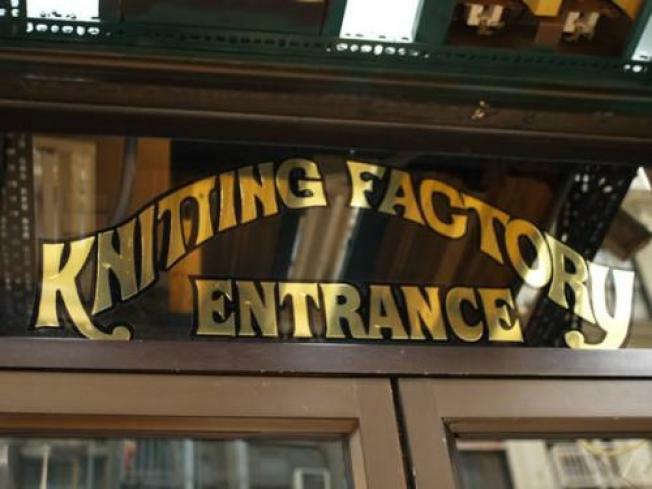 The Knitting Factory had been known by many for its manic musical tastes, hosting everyone from the Wu Tang Clan to Bob Schnieder to some obscure local band to a Thurston Moore side project in the course of a weekend. And it looks like the new location will carry on the tradition. The venue kicks things off on September 9 with Les Savvy Fav and then the next day Boss Hog comes rumbling though with support from Shilpa Ray and Her Happy Hookers. Then things get weird with the Spits, Rasputina and something frightening called Williamsburg Fashion Week -- which is really too terrible to contemplate, but intriguing nonetheless.